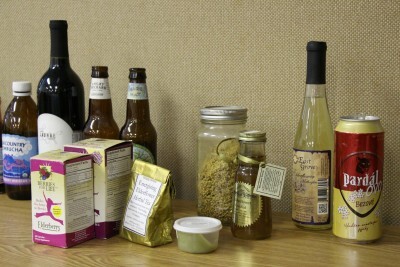 For a list of links to resources distributed during the workshop, scroll to the bottom of the post. 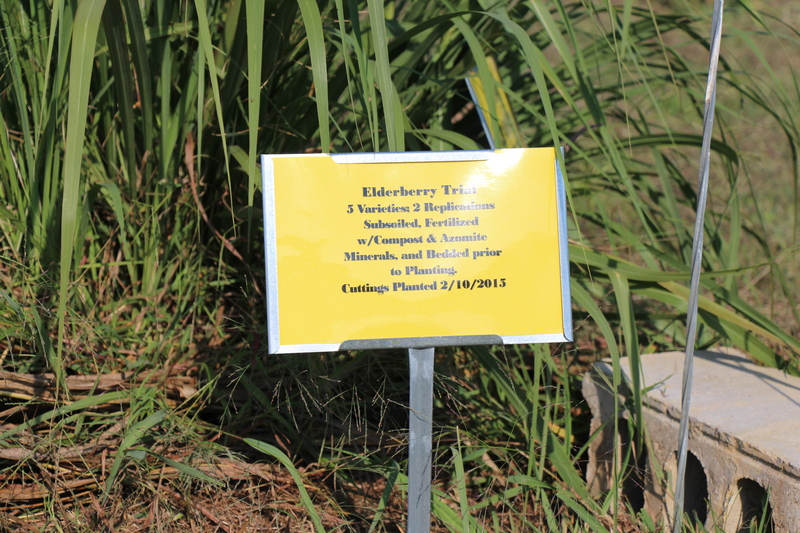 Thirty people gathered at the Kerr Center on Saturday, September 26, for an in-depth look at all aspects of elderberries as an alternative crop, from propagation and culture through harvest and marketing. Terry Durham, of River Hills Harvest in Missouri, led off the classroom portion of the day’s sessions with an overview of the many and varied products that can be made from elderberries. A selection of elderberry products on display at the September 2015 elderberry workshop. 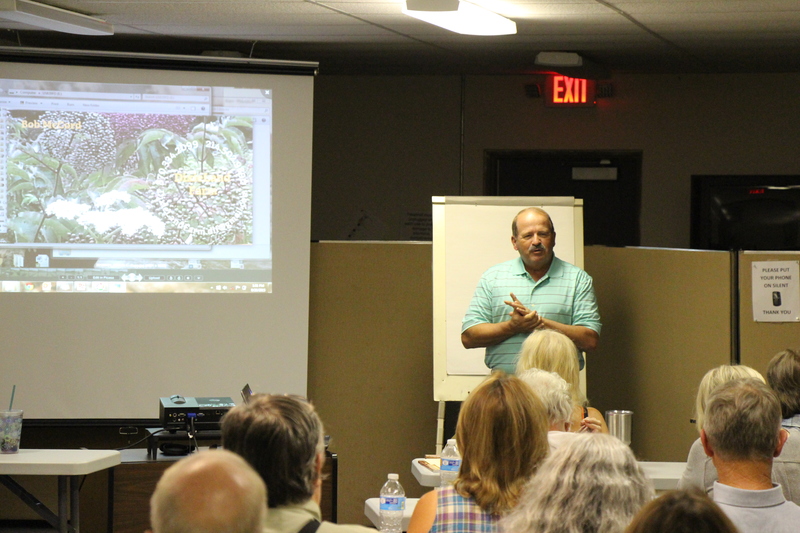 Following Durham, University of Arkansas researcher Patrick Byers took the floor for a comprehensive overview of elderberry production, from planting to harvest. That topic ran straight up ’til lunchtime; after the meal, Byers continued with a discussion of pest challenges and management. Patrick Byers, of the University of Missouri Extension service, hands around a refractometer (used to measure the amount of sugar in fruits) at the September 2015 elderberry workshop. 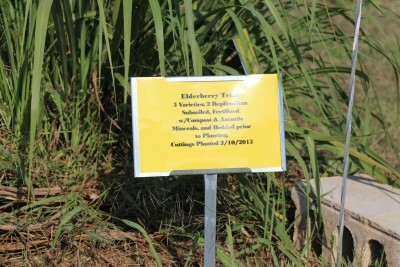 Bob McCord, an Arkansas elderberry grower, had the next slot for a description of his experiences with the crop. 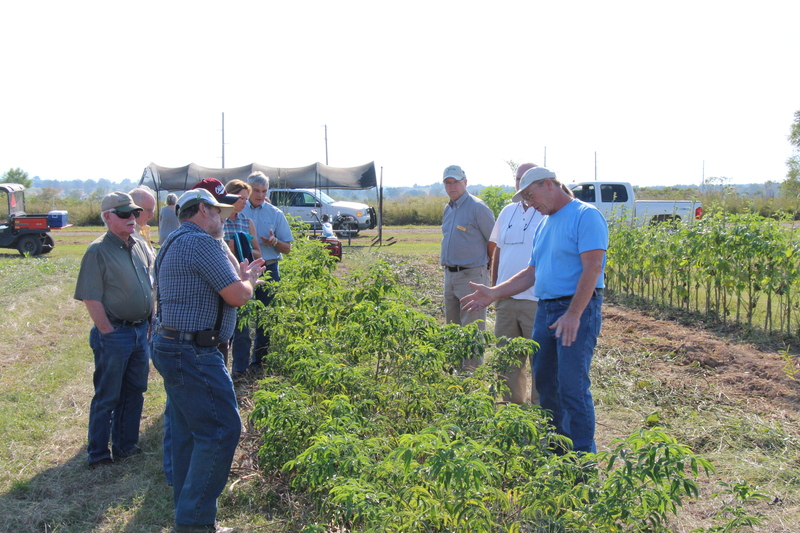 Arkansas elderberry grower Bob McCord describes his experiences with the crop at the September 2015 elderberry workshop. 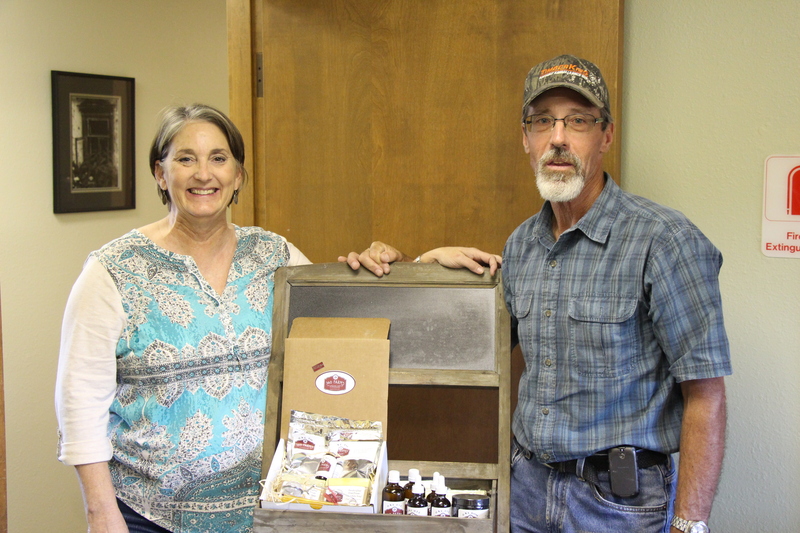 Shifting back to Oklahoma, Brent and Valerie Madding of 360 OK Farms then shared their own story of getting started in elderberries, with an emphasis on local varieties and value-added marketing. Brent and Valerie Madding of 360 OK Farms display some of their elderberry products during the September 2015 elderberry workshop. 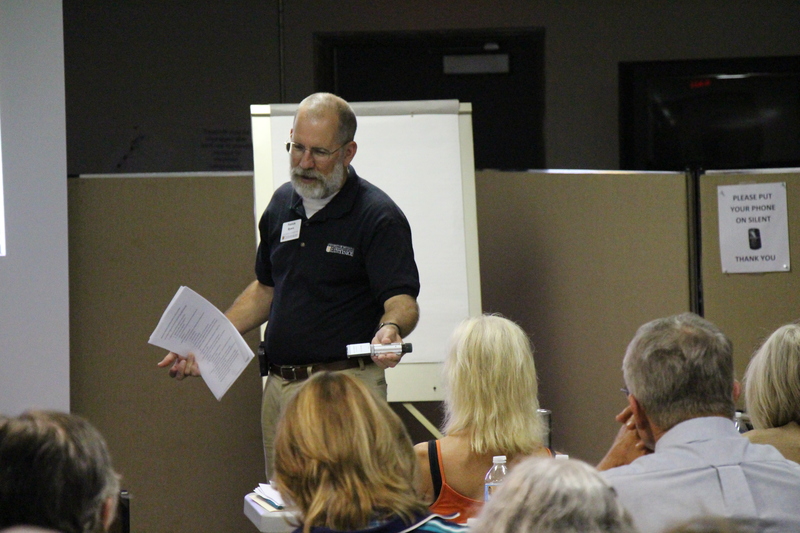 Terry Durham was back on stage for the day’s final classroom slot, with a detailed look at post-harvest handling procedures designed to meet federal food safety guidelines. The group headed outside at the end of the day, for a tour of the Kerr Center’s elderberry planting on the Cannon Horticulture Plots, led by George Kuepper and David Redhage. Missouri elderberry grower Terry Durham (right) discusses elderberry culture in the Cannon Horticulture Plots elderberry planting during the September 2015 elderberry workshop. WORKSHOP REGISTRATION IS NOW CLOSED. 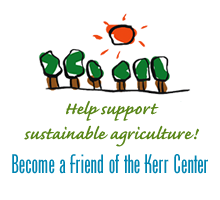 Kerr Ranch livestock staff will lead this combined classroom/field workshop. Topics: grazing management (controlled grazing, permanent and temporary electric fencing, measuring forage, subdividing pastures), & Kerr Ranch grazing study, with its focus on forage stockpiling and utilization.